Symbol - Spring loaded stylus with teather for the MC70/MC75 series, (packet of 3). This stylus works well with our MC70 PDAs. It gets the job done and the spring loaded tip helps to protect the PDA screen. 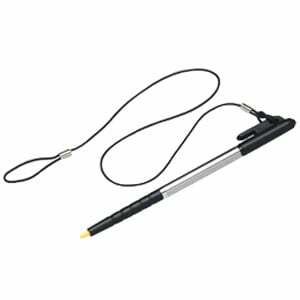 The Symbol STYLUS-00002-03R is also known as Symbol Technologies	SYM-STYLUS0000203R	or STYLUS0000203R	.